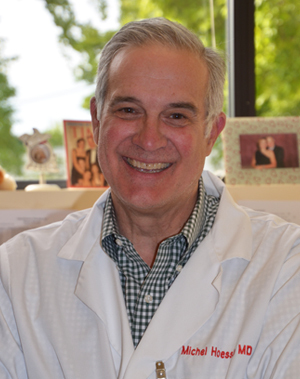 Dr. Michel Hoessly founded Paoli Hematology and Oncology Associates in 1988 after completing his fellowship at the University of Pennsylvania Cancer Center. He is Board Certified in Internal Medicine, Hematology and Oncology. He is a member of the American Society of Oncology, American Society of Hematology and many other Professional Groups. Besides serving on Hospital Committees, he also participates in the Clinical Trial Program and is the Paoli Campus System Chief for Hematology and Oncology. Dr. Hoessly is fascinated by the ever evolving field of hematology and oncology and the interaction between research and clinical care. Originally from Geneva, Switzerland he graduated with Honors from Medical School and completed a Doctorate Thesis. He lives in Wynnewood with his wife a Physician as well and enjoys his three daughters, two dogs, skiing, tennis and traveling.